If wallpaper is something you are attracted to, the above is a beautiful backdrop. Rich rustic brick highlights the shelving above. Not only are mirrors handy in checking your outfit out, they elongate your closet. 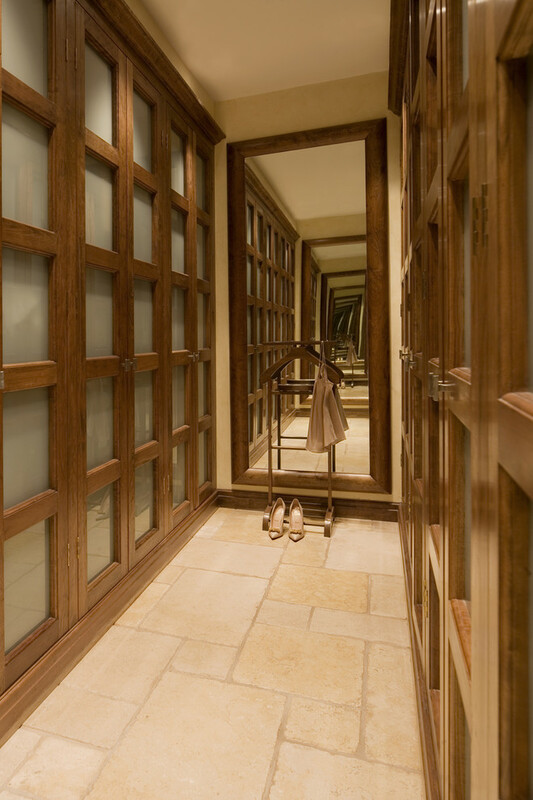 The tile in this closet is also fantastic. 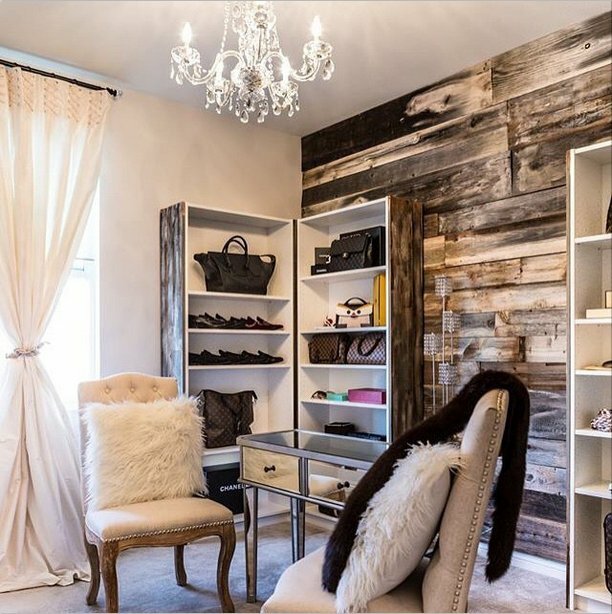 Rustic wood is a dramatic accent to this closet. 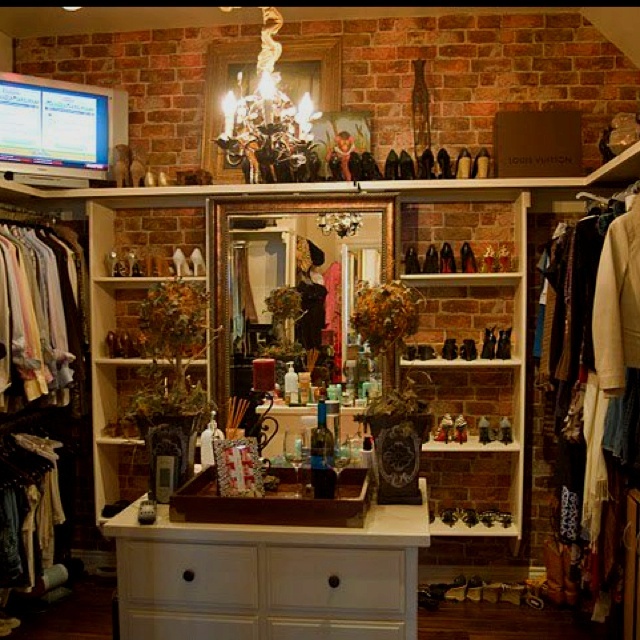 Wood planks added to the sides of the white shelves tie it all together giving this closet a cohesive look. 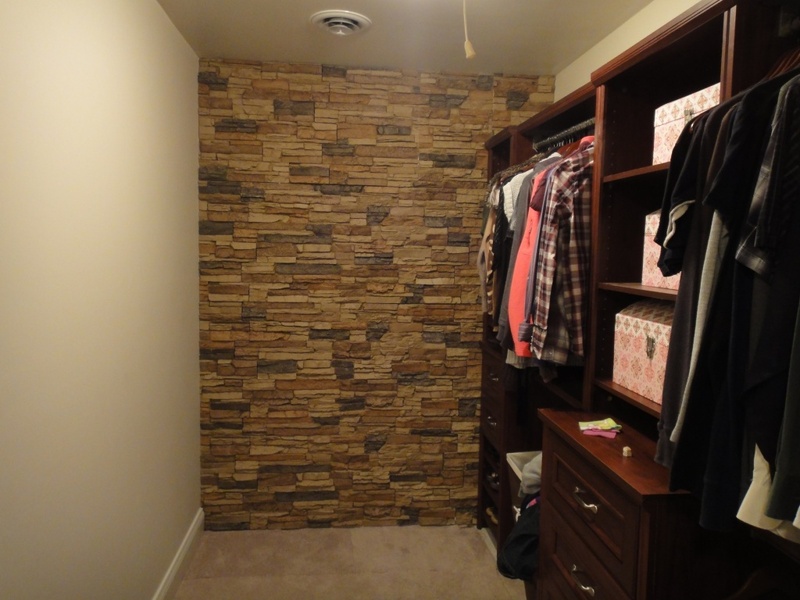 Stacked stone gives a castle feel to this closet. It also feels high end. Windows make the outside seem in. 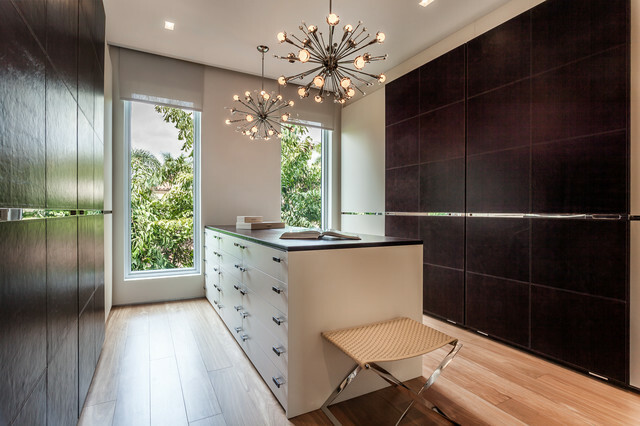 These windows allow nature to be a part of your closet. Make your closet shelving pop by using a bold pant color. 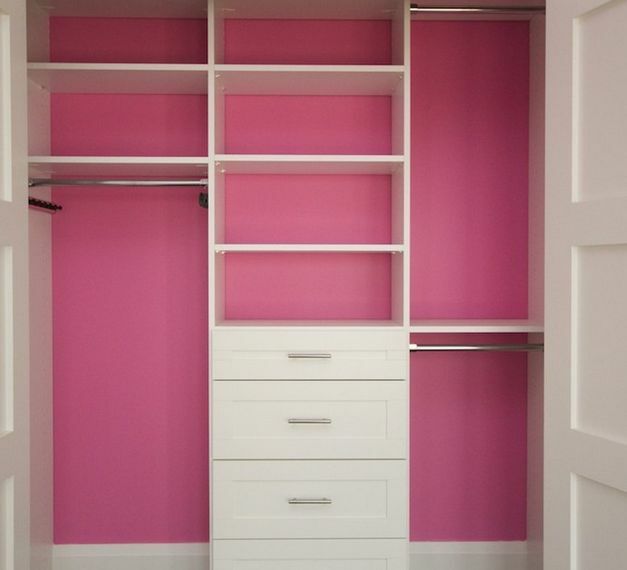 The above pink makes this closet whimsical and fun. 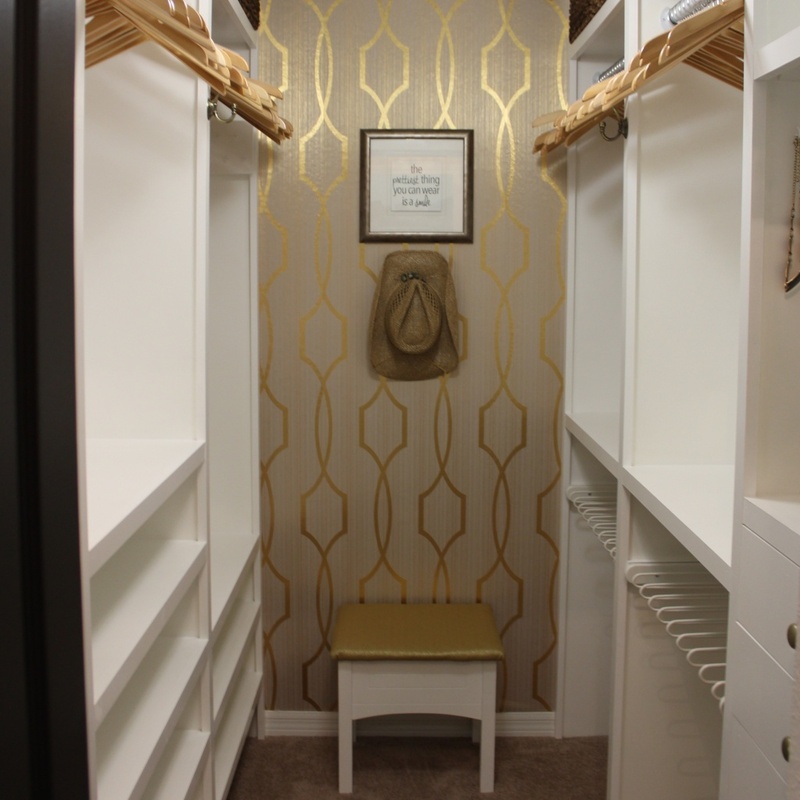 Which closet accent wall is your favorite?